In a blender, blend pecans, the milks and vanilla extract on low speed until ingredients have completely incorporated. Pour half cup of milk mixture in each disposable cup and cover with aluminum foil sheet. Carefully insert a wooden ice pop stick in the middle of each aluminum foil cover. Refrigerate for at least 4 hours or until completely frozen. To unmold the ice pops, run them under lukewarm water for 10 seconds then slide them from the molds. Ericka Sanchez This is a great bite to celebrate. 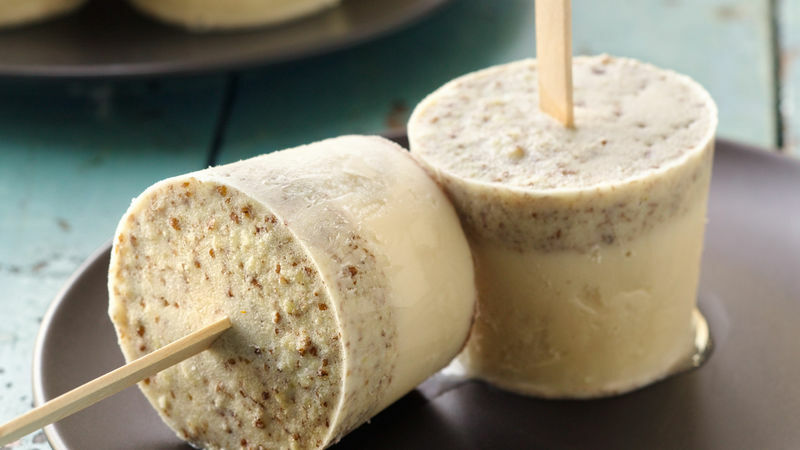 Enjoy these wonderful pops made with delicious pecans– a tasty frozen dessert!